Our day began with a hopeful weather assessment suggesting that it might sprinkle a bit at the start of our walk, but that the rain would mostly miss us. It didn’t. We’d barely begun our journey down the boardwalk at the Wakodahatchee Wetlands when the skies opened for a full-blown deluge. Some of our twenty gathered women had raincoats, some had umbrellas, but most just made a run for the chickee hut where we squeezed in with other early visitors, some of who joined our walk. 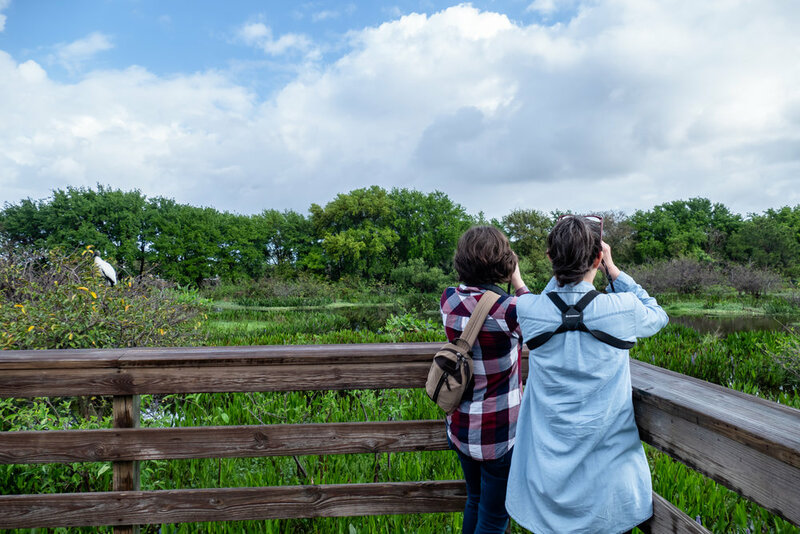 Fortunately, you’re never far from bird excitement at Wakodahatchee and despite a couple more runs for cover, the rain didn’t dampen our day. Rained out on the boardwalk. It was a slower-paced walk with time dedicated to behavioral observations. Our group watched Green Herons, Wood Storks, Great Egrets, Anhingas, Great Blue Herons, Double-crested Cormorants, Cattle Egrets and Glossy Ibises in various stages of breeding activity, ranging from courtship displays to feeding chicks in the nest. Boat-tailed Grackles and Red-winged Blackbirds also shrilled their courtship desires, with a few individuals displaying on boardwalk rails within our midst. Nesting Wood Storks (left) and Great Blue Herons (right). A Great Egret in full breeding plumage. We spotted a Neotropical Cormorant in the area where this species, rare in North America, has been observed the last few years, perched among its double-crested compatriots. We caught glimpses of a pair of adult Least Bitterns and one juvenile sneaking through the reeds. We spotted various warblers and a pair of White-winged Doves in the tree canopy. Purple Martins, Black-bellied Whistling-Ducks, Black Vultures and a flock of Ring-billed Gulls crossed the sky. 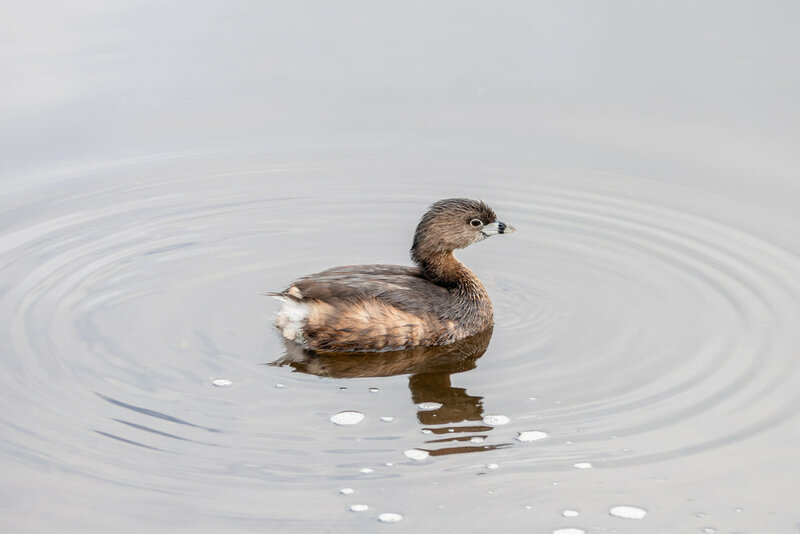 We saw a total of 41 bird species, as well as Marsh Rabbits, American Alligators, non-native Green Iguanas, Florida Red-bellied Turtles, and a Banded Water Snake. Most importantly, we had yet another opportunity to enjoy time with Phoebes familiar and new, including a couple of our feathered namesake friends. Adult Roseate Spoonbill - a lifer for many! Looking for the Roseate Spoonbill. Taking shelter under the chickee. Little Blue Heron in breeding plumage.